A farmer can be romantic without taking his spouse to a fancy restaurant or giving her something in a shiny box. 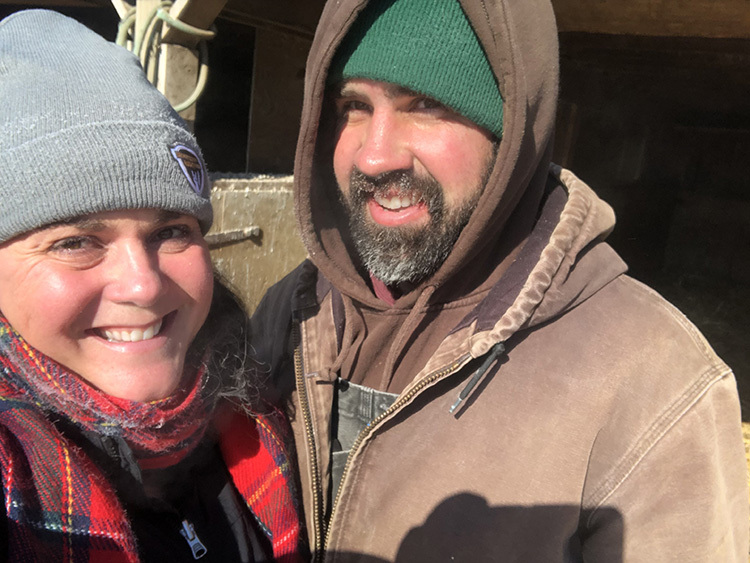 My husband and I bundled up and worked together on our family farm during the Polar Vortex. 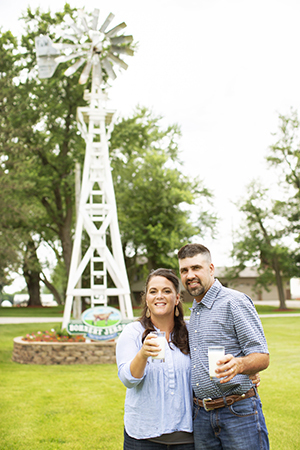 Really, the little acts of kindness that come from my dairy farmer husband — at the least expected of times and the most needed of times — are what make my heart skip a beat. It's when my husband clocks too many hours to report and then comes inside and helps with the laundry or cooks dinner or offers to grab takeout because he sees his wife and the mother of his children is equally exhausted from the constant go and the overwhelming stress. Cheers to us! Scott is my favorite Valentine, my number one farmer, my husband of nearly 16 years, the father of our three children, my business partner, and my best friend. He illustrates his love by playing five rounds of UNO with the kids, so his wife can enjoy a hot bath in peace and quiet. “Go, you deserve it,” he says. It's when Scott offers me an extra pair of gloves while working outside in the bitter cold and then insists I go inside during the Polar Vortex because he is worried about me getting frostbite or sick. Mind you, he has been outside twice as long as me. Real love is parking the diesel tractor and holding me tight after my father died. It's wiping my tears and reminding me how much my late parents loved me. Listen, my husband isn’t perfect and neither am I, but together we are pretty darn perfect. Truthfully, Scott has only bought me flowers a few times. We’re frugal — well, me more than him — and we rarely buy gifts for each other. And, any date nights we have had have been instigated by me, not him. According to him, my coordinating and communication skills exceed his, I have a deeper Rolodex for lining up something for the kids to do, and I have the know-how on grabbing Groupon deals. But what my husband lacks, he makes up for in his everyday kindheartedness and efforts to demonstrate his love. It's the little things that really count. Scott holds my hands while we walk through the muddy pastures to sort heifers so I don't fall, and every morning he kisses my forehead and tucks me in before heading out to the barn in the wee hours of the morning. Scott is my one-and-only, my "until death do us apart;" he is my husband of nearly 16 years, the father of our three kids, my business partner, and my best friend for life. And I can’t think of anyone else I’d rather spend Valentine's Day with than my number one farmer. No sparkles will be purchased and no bubbly drink will be had. No destination vacation or big date night will take place. Quite honestly, I'm okay with that because we've become pretty accustomed to spending our special day exactly how we met many moons ago—in a barn. My dairy farmer husband doesn't spell romance with roses and wine. But he does sweep me off my feet and inflate my heart because of his relentless dedication to our family and farm.